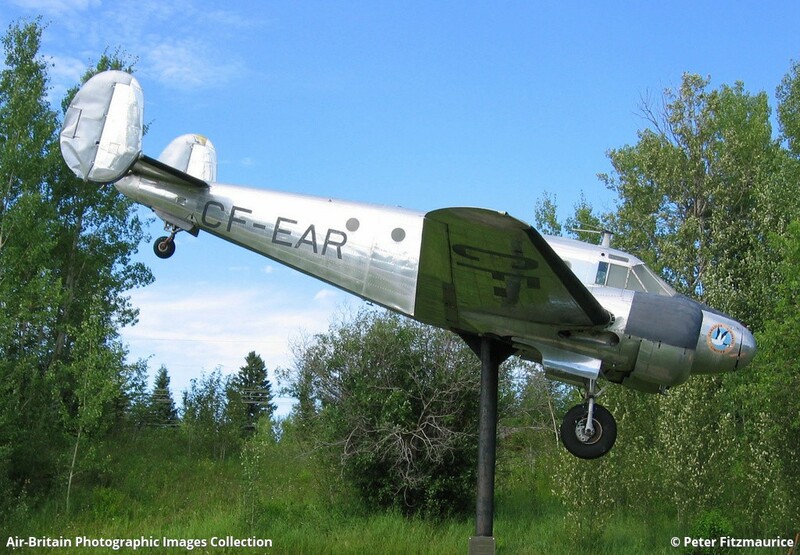 An early Beech 18 preserved outside Ear Falls. The nose logo says 'Canadian Airways Limited' but uncertain if this particular aircraft was operated by them. CF-EAR is a bogus registration. It was reg'd CF-ZQG in early 70s with Severn Enterprises Ltd. It is ex RCAF 1525.